The 2016 Wednesdays on the Green is a community-wide event celebrating the season and all things good in Downtown Skokie. We are offering a 12 week assortment of live music, dancing and family fun on the Village Green, all within walking distance to the many great restaurants and shops in downtown Skokie! Please visit the event website for a complete schedule of entertainment: www.wednesdaysonthegreen.com. 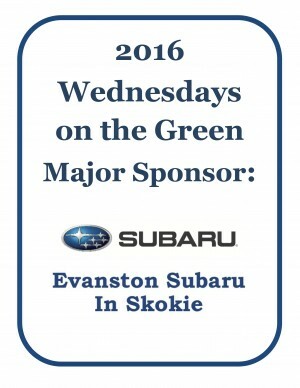 Wednesdays on the Green is presented by Evanston Subaru in Skokie. “The Leadership Connection: Erik Therwanger” Join members of the Skokie, Lincolnwood, and Niles Chambers of Commerce for lunch and a presentation by Erik Therwanger, founder of Think GREAT. Attendees will discover the leadership strategies and techniques necessary to inspire, motivate, and influence their teams and co-workers. $30 for members, $40 for prospective members. Includes Program and Luncheon. Pre-registration required. Join us as we celebrate the Grand Opening of Wing Zone in Skokie! This special lunch-time event will feature refreshments and appetizers and the opportunity to network with fellow Chamber members. Skokie elected officials will perform the ribbon cutting ceremony as we welcome Wing Zone to the Skokie community. This event is FREE to attend. Please RSVP. “The Power of Mobile Point of Sale” Learn the advantages of mobile point of sale (POS). Representatives from Apple and Skopkeep will share their expertise on how small businesses are using mobile POS to leverage customer information to market and manage inventory more effectively. This is a joint program with the Skokie Public Library and the Skokie Chamber. Light refreshments will be served. Enter on the west side of the Library only. This event is FREE to attend. Register online at skokielibrary.info or call the Library at 847-673-7774. “I Got a Guy El Fuego Fiesta!” Be the go-to person for your clients and customers by expanding your referral network. When your clients ask for a referral, you can confidently say..“I got a guy.” Mix, mingle and make lasting connections with other Skokie Chamber members that work in and around the real estate industry. $15 for Pre-registered Members, $20 for Walk-ins & Prospective Members; includes appetizers and soft drinks. Multiply your networking potential! Members looking for a productive networking experience will enjoy the structured format of this program, which gives each participant an opportunity to speak to a receptive audience about his/her company’s products and services. Attendees will have the chance to promote their businesses to members of twelve Chambers of Commerce. The event will begin with informal networking over breakfast. Don’t miss this unique opportunity to expand your reach and resources! Prospective Members, Members paying after August 10 and Walk-ins: $40. No cancelations or refunds after 5:00 p.m. Wednesday, August 10. Walk-ins are strongly discouraged and may not be accommodated. Breakfast is included in all fees. “What’s Age Got To Do With It: Marketing & Selling to Millennials” The 80 million U.S. Millennials are now the largest and most diverse generation. Understanding what motivates Millennials and how they buy can play an important role in your marketing strategy to attract this target market. Join us for this presentation by Skokie Chamber of Commerce Office Manager Kate Danziger that will demystify the Millennials’ mindset and provide marketing tips and strategies. Breakfast Club is presented by Slavin Farmers Insurance. $15 for pre-registered members; $20 walk-ins and prospective members. Includes breakfast. “Annual Multi-Chamber Women In Business Luncheon” Join us for a luncheon and networking with the women of the Skokie, Wilmette/Kenilworth, and Winnetka-Northfield Chambers of Commerce. The luncheon will feature table rotation-style networking, giving participants the opportunity to meet and network with many businesswomen. Be sure to bring plenty of business cards to pass among fellow attendees. Seating is limited – Registrations must be received by Friday, August 19, 2016. 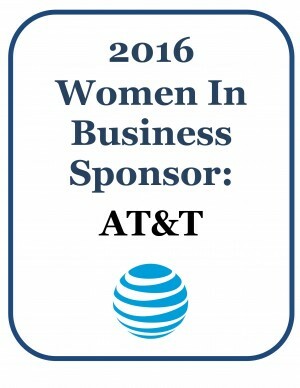 Women In Business is presented by AT&T and Slavin Farmers Insurance. $25 for pre-registered members; $30 walk-ins and prospective members. Registration is required by Friday, August 19. Over three days in August, Skokie’s Backlot Bash will feature more than 15 hours of free live music on a main stage located on Oakton Avenue near the Village Hall, including regional and national acts. The event will also feature a large carnival midway, a 5K Run, a children’s stage and kid’s activities, fun teen activities, classic films, an auto show, bingo, a Sponsor and Community Resource Fair, exhibits at the Skokie Heritage Museum, Sunday pancake breakfast and farmer’s market, food and beer, and more! FREE to Attend. Sunday, August 28 Noon – 8 p.m.
An important Chamber event featuring the Skokie, Wilmette/Kenilworth, and Winnetka-Northfield Chambers of Commerce. Join us for our Annual Golf Outing and Fundraiser at the Evanston Golf Club in Skokie, a private country club exclusive to members only. Since Evanston Golf Club was founded in the spring of 1898, it has served its members and their families as one of the premier locations on Chicago’s North Shore, allowing them to enjoy a variety of sporting and social activities. The club offers wonderful experiences in golf, doubles tennis, and dining while also hosting many special occasions and holiday celebrations throughout the year. Dinner and Awards: 5:30 p.m. – 7:30 p.m. Early Bird Golfing Fees Begin at $225 and Sponsorship Opportunities begin at $75. Call the Skokie Chamber for details. For additional information on these programs and to register online, please visit our online events calendar: http://members.skokiechamber.org/events/calendar.